Our M.Div. prepares you for ministry by combining rigorous academic learning, ecumenical theological reflection, and engagement with diverse ministry contexts. The Master of Divinity degree is widely accepted as preparation for ordination in the Anglican Church of Canada and many other churches. At Montreal Dio, our M.Div. 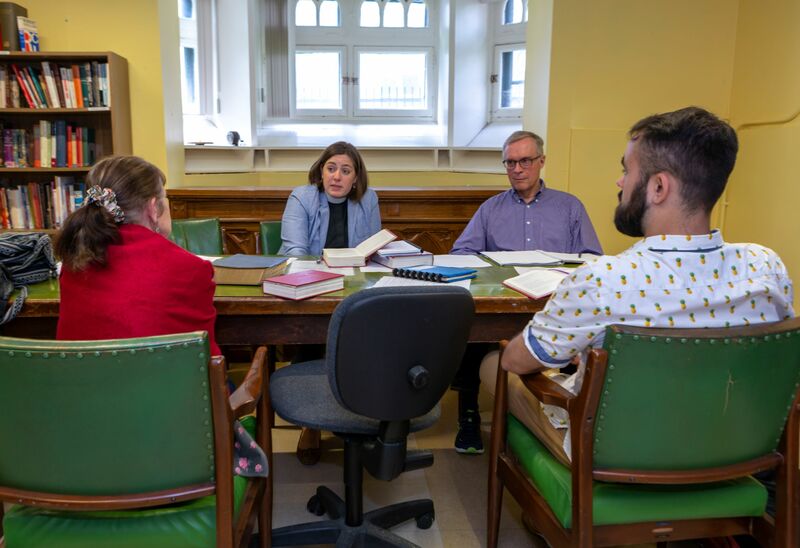 students are co-enrolled in McGill University where they learn the foundations of the Christian tradition at one of Canada’s leading universities. In the final year of the program–the In Ministry Year–students continue to learn about ministry while putting it all into practice in a full-year church placement. Students leave prepared for faithful and creative leadership in churches charting their way to a new future. The M.Div. is accredited by the Association of Theological Schools. Our M.Div. is offered in conjunction with the School of Religious Studies of McGill University and the Montreal School of Theology. It is a 90-credit degree, that can be completed in three years of full-time study. Many students complete it on a part-time basis as well. In the first two years of the program, students are enrolled in courses on the Bachelor of Theology (B.Th.) program at McGill University. In these two years, students take courses at one of the leading theology faculties in Canada and learn of the historic wisdom of the Christian tradition. Required topics include the Old and New Testaments, Christian Theology, Ethics, Church History, Christianity in a Global Context, as well as elective courses. Greek and Hebrew are not required for graduation but are offered and the college strongly encourages students to take at least one Biblical language. M.Div. students also participate fully in the life of the college, including worship in the chapel and our weekly community meals. These students are also enrolled in a non-credit ministry seminar in which they begin to bring together their academic study with their calling to ministry. The third year of the program is the college’s innovative In Ministry Year. Students are placed full-time in a parish or other ministerial setting and work closely with a designated supervisor and learning support committee. They attend that church every Sunday, leading worship, preaching, and generally becoming part of the life of the community. Every other week, they work in the parish for 40 hours during the week, contributing to the ongoing ministry of the church and being exposed to a variety of learning opportunities. This in-person learning is complemented by ongoing classroom learning. Every other week, students return to the college for classes in subjects like pastoral care, preaching, mission, leadership, and Anglicanism. These classes are structured to enable students to reflect on their placement and further their preparation for ministry. All these classes (except Anglicanism) are taught ecumenically by faculty of the Montreal School of Theology. Over the three years of the program, students write a four-part Integrative Paper that allows them to bring together their classroom and field learning and reflect on their preparation for ministry. Students in the Master of Divinity are co-enrolled in McGill University and Montreal Diocesan Theological College. Applicants must simultaneously to McGill and the college. RELG 302 and RELG 303 Literature of Ancient Israel 1 and 2: An introduction to the literature of Ancient Israel in English translation. RELG 311 and 312 New Testament Studies: An introduction to the interpretation of the New Testament. RELG 322 and 323 The Church in History 1 and 2: A survey of major developments in the history of Christianity from the end of the apostolic age to 1300 and significant events and persons in the history of western Christianity from 1300 to the present. RELG 333 Principles of Christian Theology 1: An introduction to the central questions, claims, and categories of Christian thought, considered in their narrative and credal context. RELG 341 Introduction to Philosophy of Religion: Introduction to the subject, faith and reason, theistic arguments, values and destiny, the problem of evil, religious language. Greek or Hebrew: A Biblical language is not required for graduation from the M.Div., though the college strongly encourages students to enroll in either Greek or Hebrew. Students are also enrolled in a non-credit Ministry Seminar at the college and must write the first of their Integrative Papers. RELG 420 Canadian Church History: A survey of the major Christian traditions in Canada from the settlement of New France to the present. Students not preparing for ministry in Canada may be exempted from this requirement. RELG 434 Principles of Christian Theology 2: A continuation of Principles of Christian Theology 1. RELG 470 Theological Ethics: A study of the Biblical and theological foundations of Christian ethics. RELG 479 Christianity in a Global Perspective: This course examines traditional Western Christianity aiming at theological integration in light of religious and cultural pluralism and with reference to issues of worldwide concern such as gender, ethnicity, poverty, work, and the environment. In addition, students must take a further course in Old Testament (such as RELG 407 The Writings or RELG 408 The Prophets), a further course in New Testament (such as RELG 411 New Testament Exegesis), a further course in Christian theology (such as RELG 336 Contemporary Theological Issues or RELG 423 Reformation Thought), and a course in a religious tradition other than Christianity. Students are also enrolled in a non-credit Ministry Seminar and must write the second of their Integrative Papers. Supervised Field Placement (MST 500; equivalent to 12 credits): The third year of the M.Div. has a strong component of learning through practical experience. This theological field education framework employs disciplined theological reflection in various contexts to develop skills and capacities for ministry. Christian Mission (MST 561; 3 credits): Explores various theologies and practices of mission, and the specific cultural challenges of evangelization in our North American context. Principles of Preaching (MST 531; 3 credits): This courses focuses on the fundamentals of sermon preparation, exegesis for preaching, developing a message, and sermon structure. This course also includes a preaching tutorial where students present sermons for feedback and reflection. Pastoral Care (MST 511; 1.5 credits): Introduction to the basic skills of pastoral care, and exploration of the particular gifts and challenges the student brings to this ministry. Education and Formation (MST 541; 3 credits): Examines educational theory, theology and practice, and develops skills and knowledge for ministerial leadership in faith formation and education. Congregational Leadership (MST 562; 1.5 credits): Provides students with lenses to study the congregation, and explores the various dynamics of leadership, particularly in the context of ordained ministry. Anglican History and Theology: An overview of the Anglican tradition, with a particular focus on contemporary expressions of Anglicanism around the world. Anglican Liturgy and Worship: The theology and development of Anglican liturgy. In addition, students are enrolled in a non-credit seminar on Liturgical Celebration, write the third of their Integrative Papers, and meet an intercultural encounter requirement, which is decided in consultation with college faculty. Students preparing for ministry in a denomination other than Anglicanism may meet the denominational studies requirement in a different fashion. The general requirement for admission is a previous undergraduate degree (in any subject) with a minimum of a 2.7 cumulative GPA. We are also accredited to grant the Master of Divinity as a first-degree under certain circumstances. Please contact the college for more details. Transfer credits from other theological colleges are accepted. Please contact us to find out more. Under the terms of our affiliation agreement with McGill, tuition is paid directly to our college for all three years of the program. 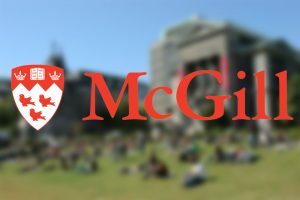 For the first two years of the program, students also pay student fees to McGill. See our tuition and fees page for more information, including about financial aid.